Traditionally, leather is the way to go when it comes to 3rd wedding anniversary gifts. Before that, it’s cotton or china and before that, it’s usually something paper. However, if you have been together with your spouse for 3 years and you are trying to find a wedding anniversary gift, it’s time to start thinking about leather. There are a lot of options as far as leather is concerned. The benefit is that most leather items aren’t that expensive – you don’t really need to worry about shelling out a lot of cash. Without further ado, here are some great third anniversary gift ideas. Even if you are ready to pop the question and ask for your partner’s hand in marriage, there is a good chance that you are still nervous. And even if you’ve been with the person for several years, it can still be as nerve-wracking as when you asked your partner to go on a date for the first time. However, if you want to assuage some of your nervousness, it is important to be completely prepared. If you aren’t prepared, you may be a little shaky and uncertain when you get down on one knee. Here are some essential tips for planning a marriage proposal. Almost every little girl dreams of meeting and falling in love with her soul mate. A part of that dream comes with a romantic surprise proposal, and what could be better than a Christmas proposal? The only problem is that you never know when he is going to pop the question. It could be a few years into your relationship or it could be a few months if things are going well. But you never know the exact moment, which can be a blessing or a curse. A curse if you don’t like surprises. Yet, it can always help to know some of the signs. Here are some signs that he is going to pop the question. Buying a diamond engagement ring can be one of the most delicate and important buying decisions of your entire life. Indeed, you have a lot on the line. Not only do you not want to spend a lot of money – you also want to make a good investment. You want to find somebody who really knows their antique engagement rings. Also, you don’t want to purchase an engagement ring that your fiancé won’t like. 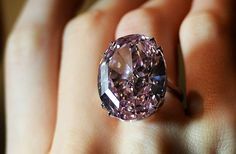 When it comes to buying an antique diamond ring, there are a lot of advantages and disadvantages. Here are some of the pros and cons of buying an antique diamond engagement ring. Many people have heard of white gold, it’s usually found in either 14k or 18k, and there is a good chance that you have heard of platinum. But what about palladium? 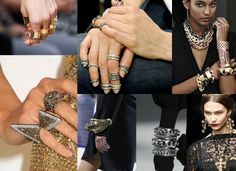 Palladium rings are quickly becoming popular for a number of reasons. Mainly, though, palladium is being used for its affordability, its durability and its sheen. Here are some reasons why palladium rings are on the rise. Dealing with a fake diamond is one thing, but how do you know if your diamond is antique or not? When you are purchasing a diamond engagement ring, you will want to know if the diamond or the engagement ring is actually antique or just based off of an antique design for a number of reasons. One of those reasons has to do with things like updating its mounting. 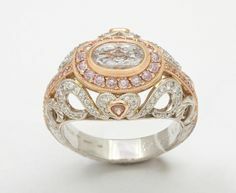 Some antique diamonds may be more expensive to transfer to a new ring, mainly because the diamond has an antique cut. You may also want to know if you simply have a preference for antique diamonds – antique diamond rings have a unique beauty that can’t be replicated. 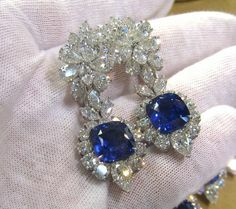 There is also a problem with some antique diamonds not having much value. 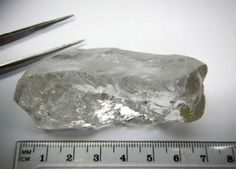 Here is how to know if a diamond is antique or not. There is a good chance that you have home insurance if you own your home. You also have car insurance – not only because it’s required by law, but also because you want to protect your car. Indeed, anything of value, you want to insure – to make sure it is protected and that you are compensated if the item of value gets lost or stolen. So, why wouldn’t you want to insure your diamond as well? It is sitting on your finger, or your spouse’s finger, for all to see. Here is how to insure your diamond. We’ve been giving you the back stories all year on the birthstones for each month, and you may have noticed that as we get closer and closer to the end of the year, the later months get lucky with having more than one birthstone. And let’s just say that there’s definitely more than one December birthstone.